The commercial use of magnetic recording in America began in the late 1940s and quickly overtook disc and optical as the best studio recording format. Not only did magnetic recording offer improvements in sound quality, it also offered the ability to more easily edit sounds, combine sounds, and record for long periods. 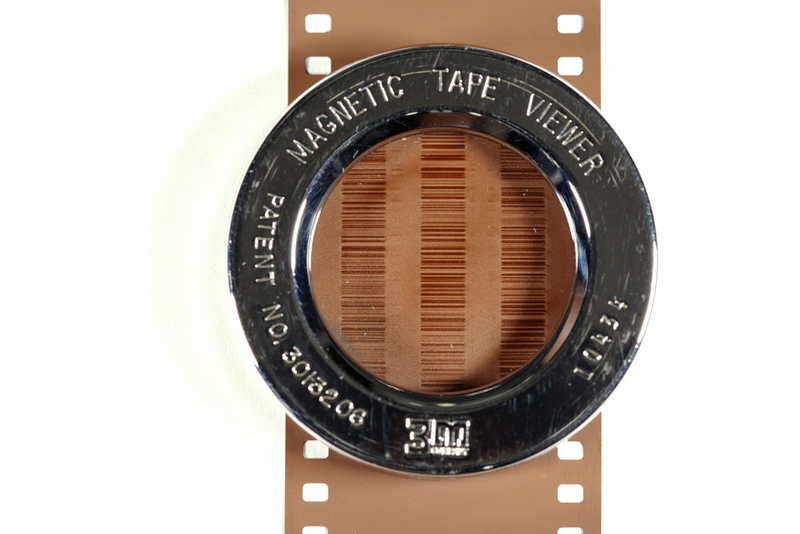 Magnetic tape is basically a smooth ribbon with a painted-on solution of iron filings. A magnetic recording head is able to orient these iron filings into sound modulation similar in appearance to the modulated light of a variable-density optical track. 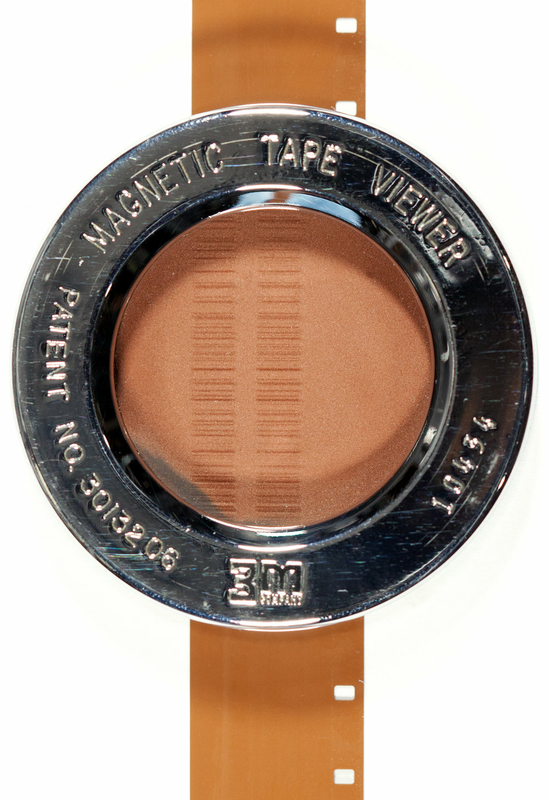 The modulation is invisable to the eye and requires a magnetic viewer as shown below. After recording, a separate playback head is able to transform the faint modulating magnetic field back into an electrical sound signal. 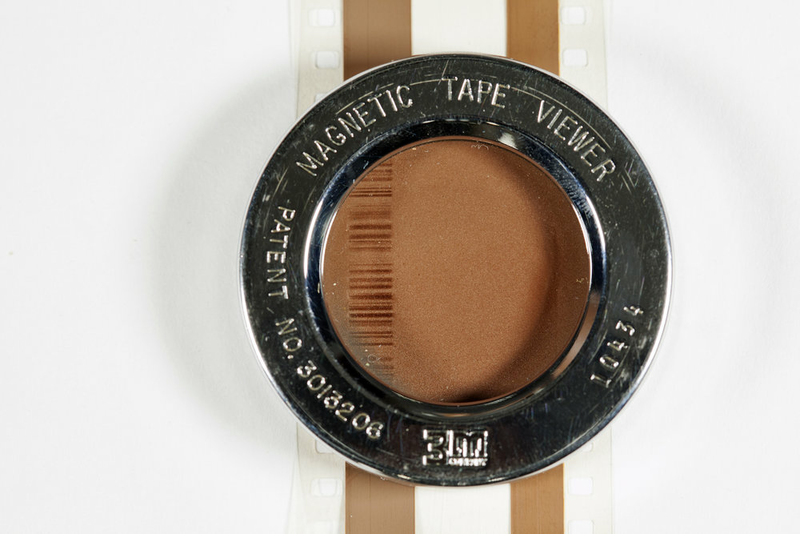 This is the medium used to capture everything from The Beatles to The Sound of Music. Select any image below to view larger size.